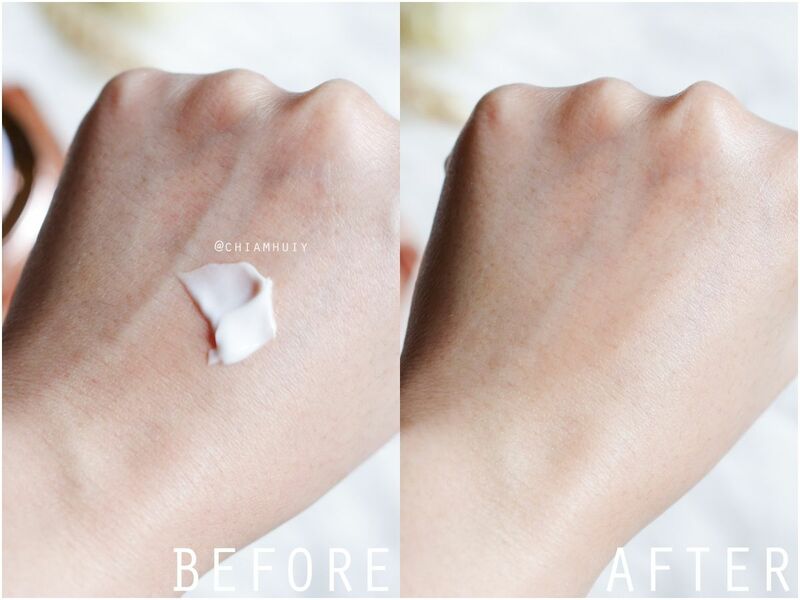 You may have heard of the benefits and all that hype over snail creams. Have you ever wondered what is it all about? I did a quick search online to find that the key ingredient in snail creams which made them a great skincare product, is Snail slime (also known as Snail mucus). 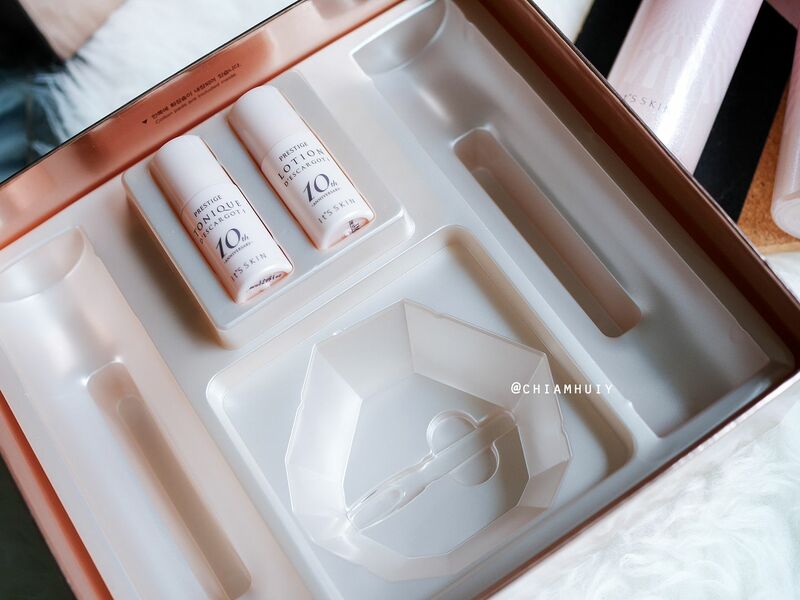 While I get into details of how snail creams work, I will also be reviewing It’s Skin 10th Anniversary Prestige D'escargot Special Set - the perfect basic set to get you started in receiving all the nutrients from Snail mucus! It's Skin is the first brand in Korea that has paved the way for the nation’s prestigious cosmetic market. They prides itself as a Clinical Skin Solution brand that helps you to find your skin solution to the skin concerns you may face. 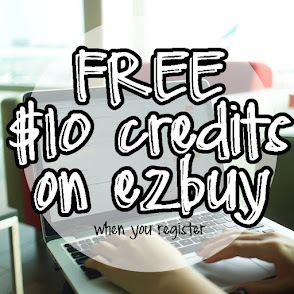 This has been done through conducting research on which ingredients would be best for your skin, to make products that are catered on your needs. 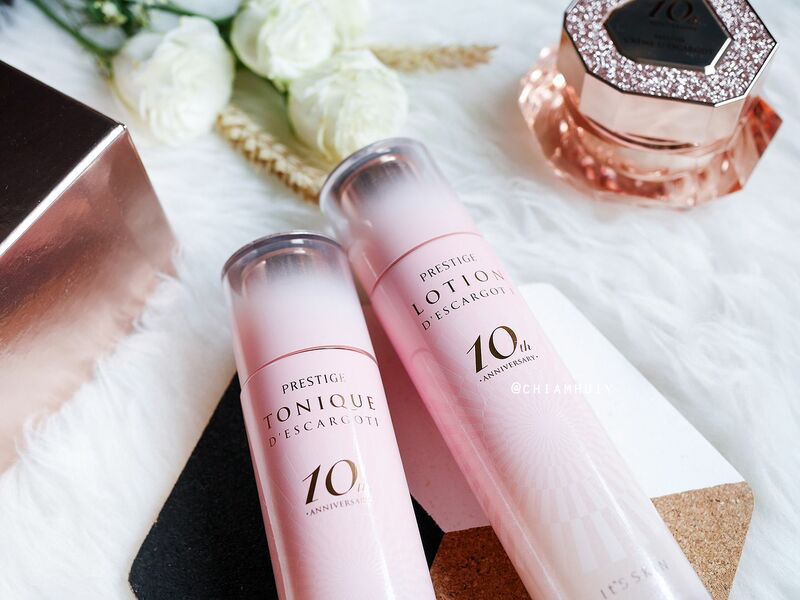 The most iconic product from It's Skin would be the Prestige Creme D'escargot (snail cream) that has received the recognition of the Grand Gold Monde Selection Awards for 3 consecutive years. 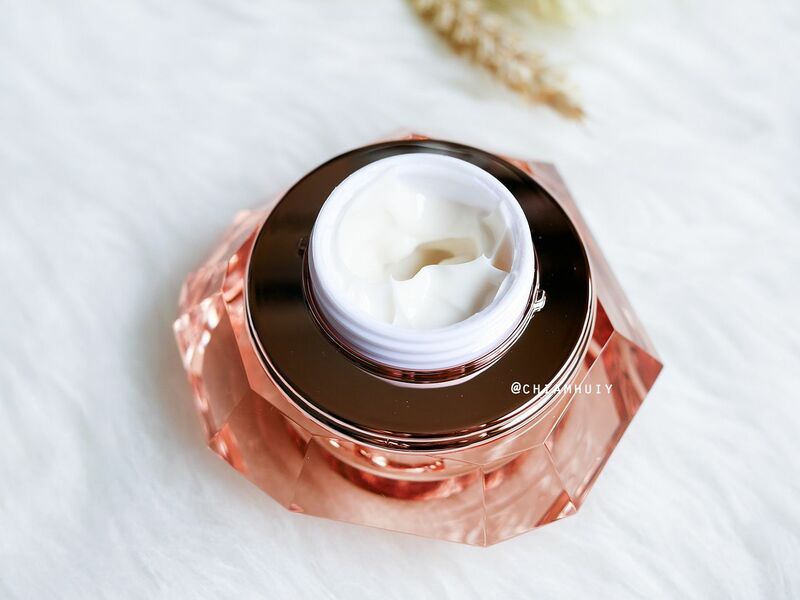 Many would have heard of snail products in the Korean cosmetic market but do you know that It's Skin was the very first brand to introduce snail products? In other words, It's Skin is the brand that started the trend of snail products! It's Skin Singapore opened its first outlet in Singapore last March. Subsequently, they have also opened two other stores at Tampines 1 and Nex. 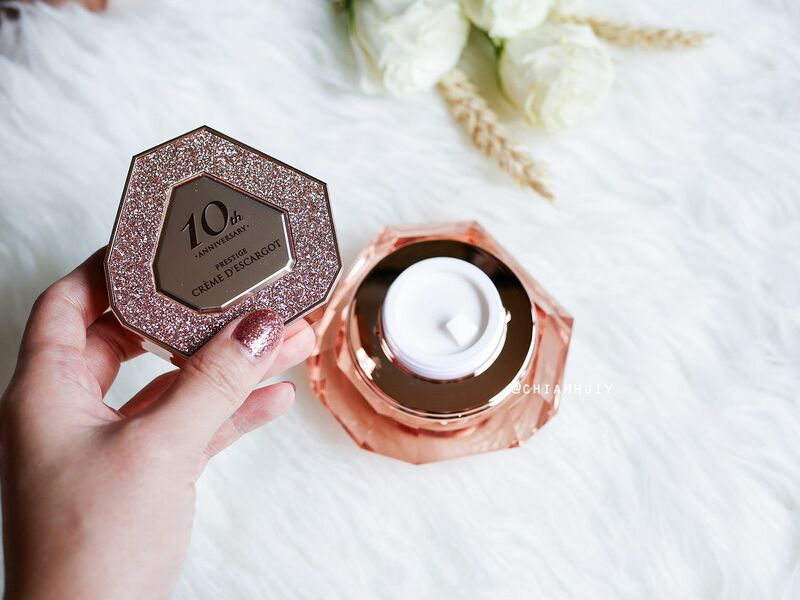 To celebrate 10 years of It's Skin in Korea, they have specially repackaged their bestselling D'escargot cream in a jewelry edition packaging. Available for a limited time only, so do visit the stores to find out more. Mucus secretion from snails are called “mucin”. You know all that slimy texture surrounding snail's entire body, and that slimy residue left by the snail as a trail? Yup that's the one. This ingredient is responsible in improving cell regeneration and providing moisture. With their research and technology, It’s Skin finds the optimal amount of snail mucus to include, and that is 21% snail mucus. 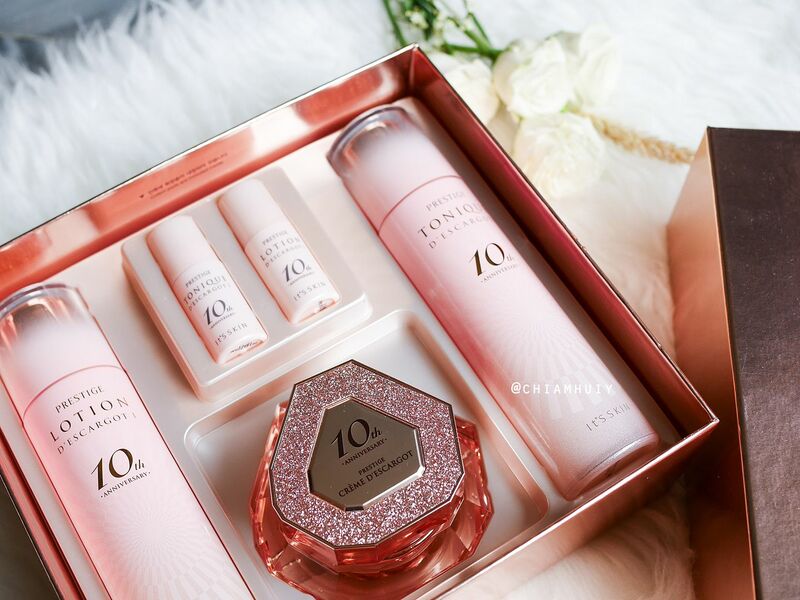 As you can tell, this 10th Anniversary Jewellery Special Edition Set (SGD$189.00) from It’s Skin can be such a lovely gift. All the fancy glittery packaging makes one so happy just by using it! 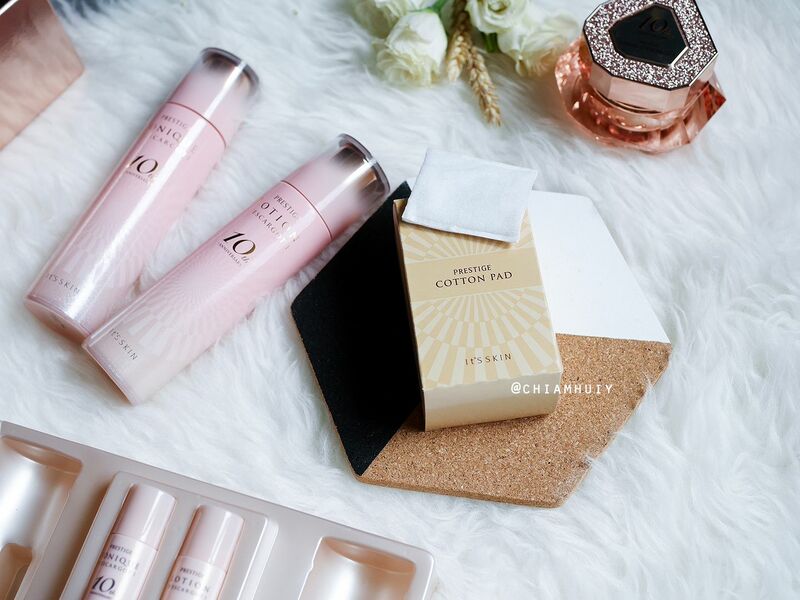 This set also comes with complimentary travel sizes for you to bring along while you travel. 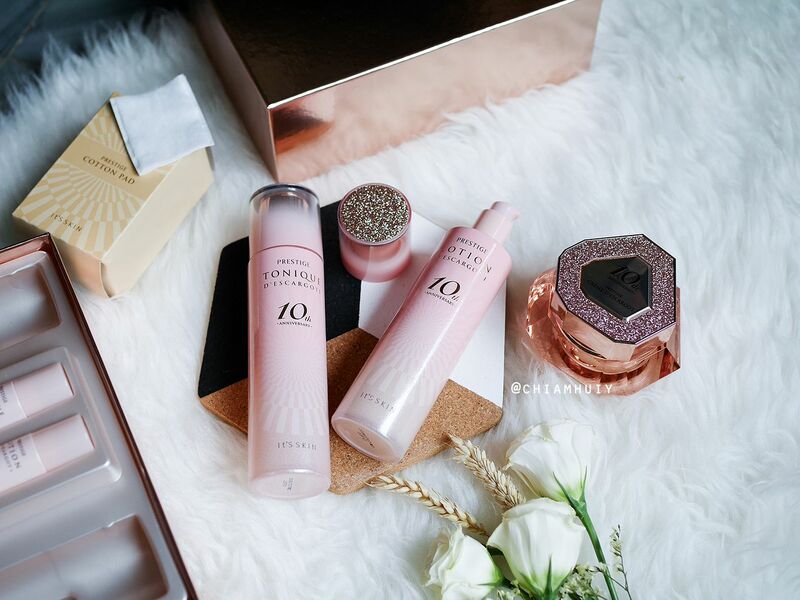 It's always recommended to not change your skincare because your skin takes time to get used to the new product. 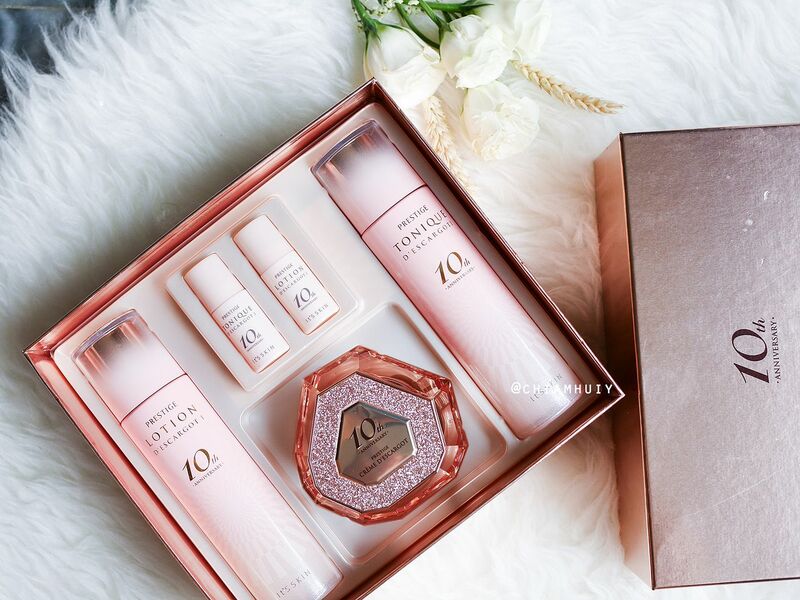 With that, can we spare a little moment to appreciate the gorgeous packaging of the products? You won't be able to tell from the photos, but these bottles are actually glass bottles, which gives it a the weight compared to a plastic bottle. That aside, look at the bling bling bottle caps! 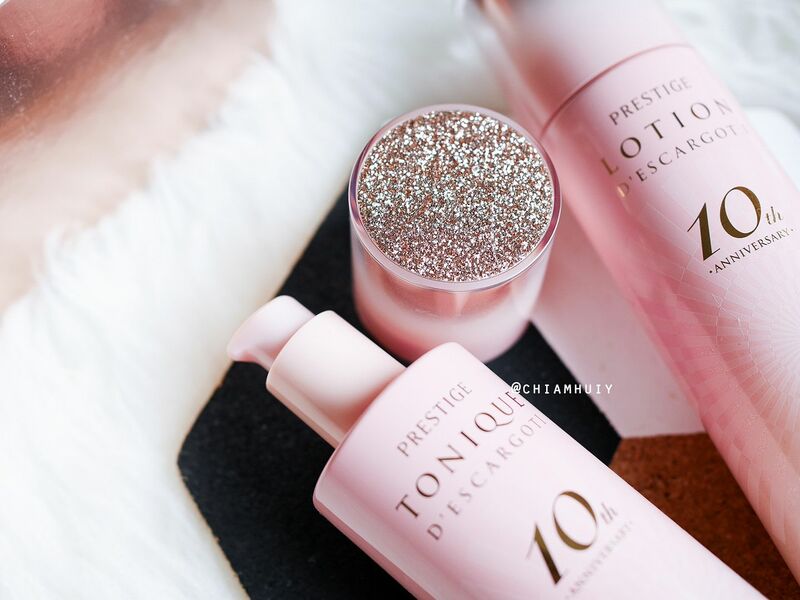 Let's do a quick comparison between Prestige Tonique D’escargot I & Prestige Lotion D’escargot I.
Straightaway, we can tell that the tonique has a lighter texture, hence the translucency compared to lotion's full opacity. However, do not be fooled. 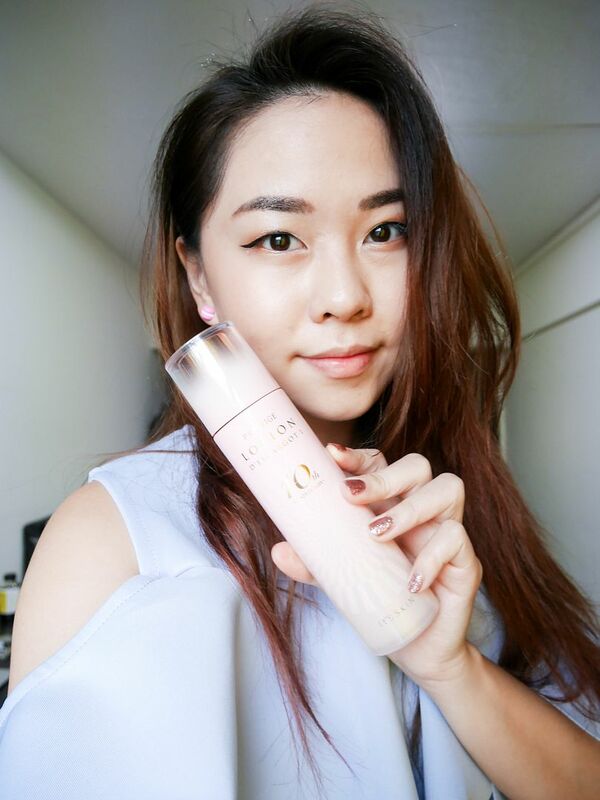 Both products are no where heavy and a little amount (perhaps twice or thrice the amount I dispense on my hand in the photo) is good enough to cover my entire face! Besides, I really really love the scent of the products. I've not tried any snail creams or any related products before and I don't deny that I used to have hesitation trying them out. I guess my worries were unnecessary! You can imagine how glad I was to find them smelling lovely. It smelt a little like baby powder and sweet florals. By using this duo, the snail mucin present will restore cells, heal wounds and protect your skin from external factors such as pollution and externalities. There's also another key ingredient - Adenosine. 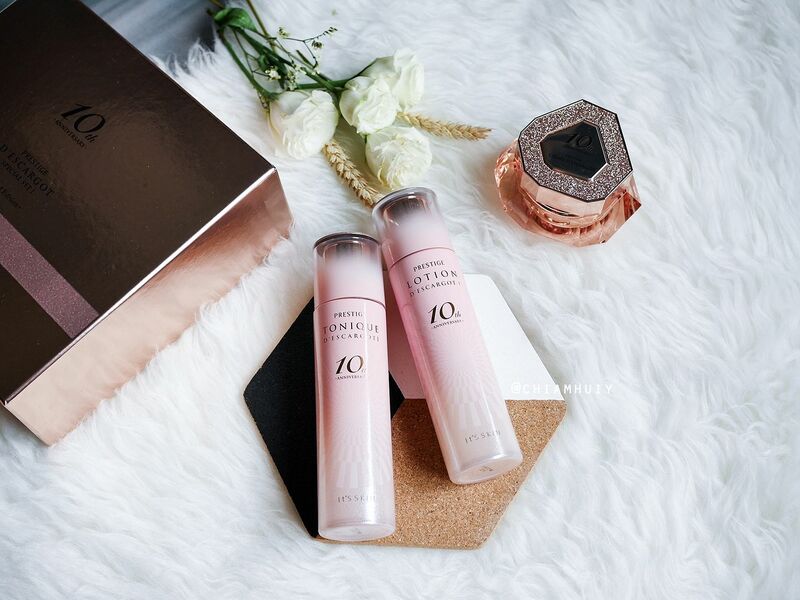 It's meant to stimulate the formation of collagen and elastin to provide a skin lifting effect, thus slowly diminishing signs of aging such as wrinkles. This bottle has an even prettier packaging that the aforementioned. 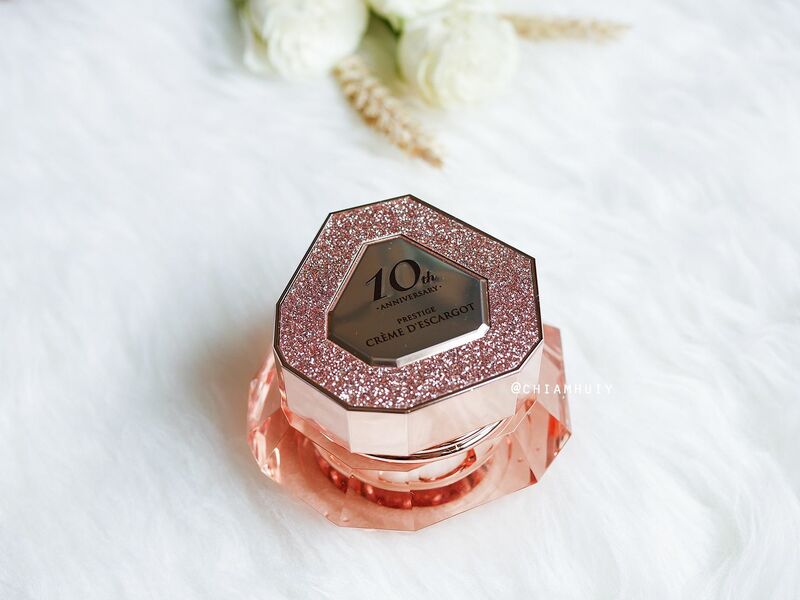 The circumference of the cap, which takes on the shape of a diamond-polygon, is also covered with pink glitters. Seems like I have gotten inspiration from this and translated into my nails! (Haha). 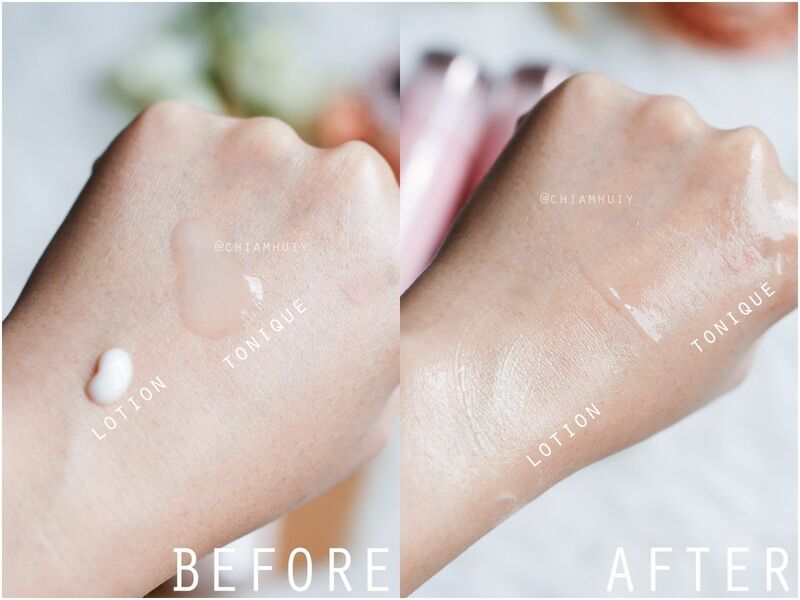 Because of niacinamide in the product, you can expect whitening effect on your skin, along with other skincare properties such as firming. PS: Prestige Crème D’escargot is It’s Skin Global Best Seller and had been awarded the prestigious Grand Gold Monde Selection Awards 3 years consecutively (2014-2016) which is a rarity by itself. Look further in, I have to tell you I took a step back at first. The cream does look really thick and rich isn't it? Yet, you will be absolutely surprised (& I guarantee you). The cream is not thick at all! Photos don't lie, can you see any glossy shine that tells you it's thick or too rich? I have acne-prone skin so I always avoid rich creams. I've learnt my lessons because I tend to break out after using rich creams. And thankfully, I face no such breakout problems with It’s Skin Prestige Crème D’escargot (60ml). I like the smooth (towards matte) finishing texture along with its moisturising effect. 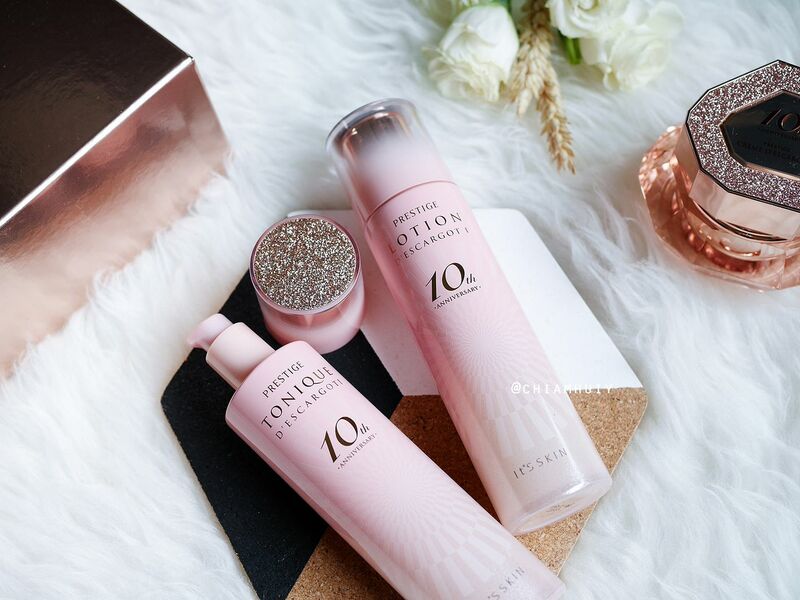 It’s Skin 10th Anniversary Prestige D'escargot Special Set also comes with complimentary cotton pads and travel sizes of the tonique and lotion. It’s Skin Prestige D'escargot skincare set retails at SGD$189.00. Thank you It’s Skin for sending the skincare for my review.